How often have you been hunting with a friend and heard them say, "Did you hear that?" or thought you heard an elk bugle in the early morning but couldn't figure out from which direction it was coming. Now substitute that elk for a turkey and you might be faced with the same problem. Finally, remember those early mornings on the deer stand when you strained to listen to every little noise, wondering if it was a deer moving in the woods. Well, the folks at Bonner Technology have come up with a new product that will help you in all of the above situations, the MegaEars. This spring I used the MegaEars during turkey season and they made quite a difference in identifying and locating the direction of a gobbler in the morning. I can't wait to use them during the archery elk season. Those sometimes faint, single bugles make it tough to pinpoint the elk  MegaEars should help. With new MegaEars you can tell true sound directions and distance. They work even in the thickest forest and up to hundreds of yards away. The MegaEars is binaural. Each ear works independently, allowing you to adjust and tune it to your own hearing balance. Powerful, high-frequency microphones detect and amplify distant, faint sounds without distortion. Patented circuitry "crisps and clarifies" sounds, so you can distinguish between "what" and "where." Electronic filtering reduces loud, sudden noises like gunshots to a harmless level. Yet normal conversation and range commands remain perfectly audible. Great for pinpointing deer, turkey, birds and varmints. 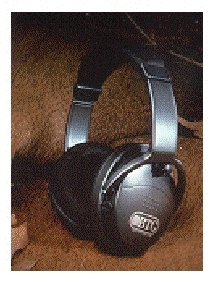 Detects range and direction to sound source with binaural input. Amplifies quiet noises without distortion. Never cuts off, clips or misses sounds. Reduces hazardous noises from firearms to harmless levels. Variable balance lets you adjust hearing from ear to ear. Input jack allows you to plug in radio or scanner. Please call (800) 459-FIND or E-mail Bonner Technology at info@bonner-tech.com for more information.